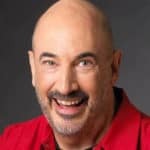 Jeffrey Gitomer is an author, professional speaker, and business trainer, who writes and lectures internationally on sales, customer loyalty, and personal development. He has written thirteen books on sales including the award-winning ‘The Little Red Book of Selling’, which has sold more than five million copies worldwide. He has been a featured speaker for the largest companies in the world for more than twenty years. Jeffrey is also the host of the podcast, Sell or Die. Working with the Napoleon Hill Foundation, Jeffrey has recently published an exciting new book called, Truthful Living: The First Writings of Napoleon Hill. This book makes available to the public for the first time, Napoleon Hill’s long-lost original notes, letters, and lectures—now compiled, edited and annotated for the modern reader. Having been through a few divorces, having children, grandchildren, you have to concentrate on their success and their safety and their happiness and their well-being and their health. Everyone has their issues in life and I try to pay attention to what everyone needs for me as a father or grandfather, but I first make certain that I'm okay myself. I can't be the best dad in the world unless I become the best person in the world. And you can substitute dad for anything else you want: driver, teacher, writer, whatever. It starts out with you as a great person. I used to breathe a lot better, I think when I was meditating. 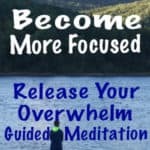 Meditation is one of the things where you get in the habit of it and then you get out of the habit of it. Easy to do, easy not to do – Jim Rohn. I should breathe better. The one thing that I have learned to do is breathe as a speaker, so I speak from my diaphragm rather than from my throat. I'm well aware of that process because I've had a couple of throat operations. Heredity has caused a couple of polyps on my vocal folds and after they were removed I literally went to speech therapy to relearn how to fill my diaphragm with air and then expel it as I'm speaking and take that breath before I start to speak again. Book: A Message To Garcia by Elbert Hubbard (Free Download) Also, anything written before 1940. Suggested authors are Orison Swett Marden, Dale Carnegie, Earl Nightingale, Elbert Hubbard. Yeah. I was actually bullied as a kid because I'm Jewish and so people tend to pick on Jews, I don't know why. When I first went to Haddonfield Junior High School, which I think they call Central School, I was in the playground and some kid came up to me, Bill Campbell. He said, you new? I said, yeah, I am. You said, you know, we don't really like Jews. And he cocked his fist at me and another kid, Robbie Alleger stepped in front of me and knocked this kid down to the ground with one punch. And we're still friends. Alleger and I are still friends.